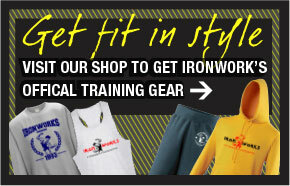 Getting ripped or improving your general fitness won’t dent your wallet too much at the Iron Works. With an annual membership that costs less than £300, or a one-week pass for just over a tenner, we believe we’ve made fitness concepts affordable for everyone. This is flexible membership with no lengthy contracts, you can pay per month, week, or day- whatever suits you best!